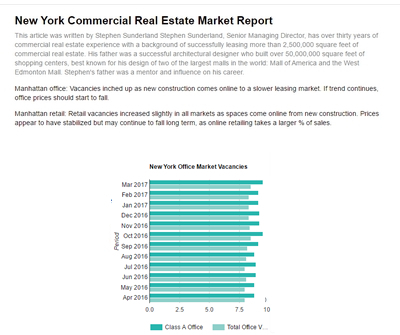 The Manhattan office market is strong with leasing activity nearly 40% higher year-over- year. Leasing activity in Midtown was driven by two large deals at 1211 Sixth Avenue, where 21st Century Fox America took 767,885 square feet, and News Corp. took another 443,586. 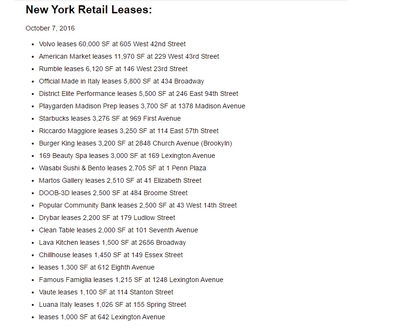 Facing rising retail vacancies, Manhattan landlords are offering increased concessions rather than reducing asking rents. Incentives include paying for renovations and moving expenses….. 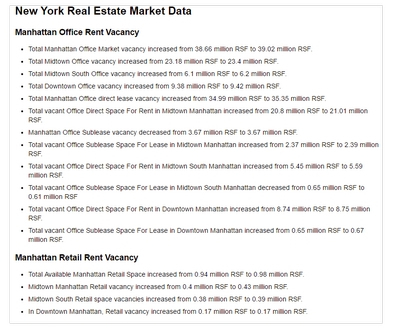 The Manhattan office market is strong with leasing activity nearly 40% higher year-over-year. With two large deals downtown, new leases and renewals there was a total of 3.15 million square feet, an increase of 10% over activity from February 2016. 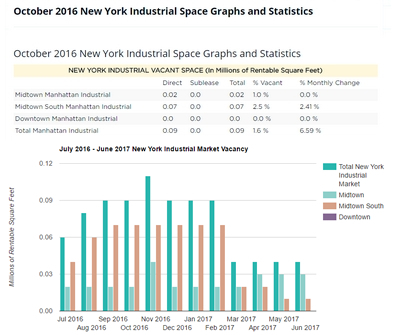 Absorption was positive for the month at 430,000 square feet, and the availability rate climbed 50 basis points from a year ago to 10.1%. Manhattan’s average asking rent in February was $73.57, an increase from $71.56 a year earlier. 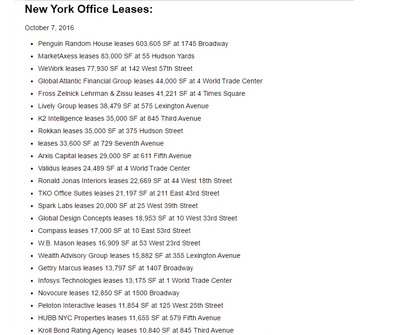 Leasing activity in Midtown rose partly by two large deals at 1211 Sixth Avenue, where 21st Century Fox America took 767,885 square feet and News Corp. took another 443,586. The availability rate in the area remained at 11.8%. 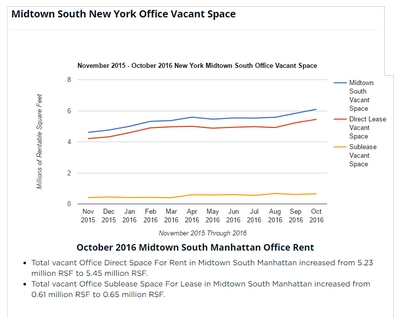 In Midtown South, tenants inked leases for a total of 440,000 square feet, just 10,000 more than the month prior but up sharply from the 230,000 square feet leased in the same month a year ago. 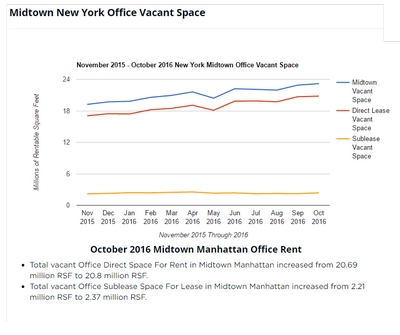 Downtown saw its most active month for office leasing since November 2014, while leasing activity in Midtown and Midtown South slipped, but rents and availability remained stable. 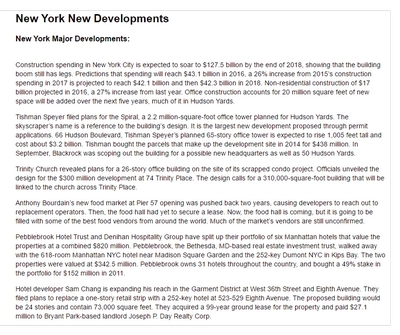 37 of last year’s 50 largest office deals in Manhattan were in Midtown. 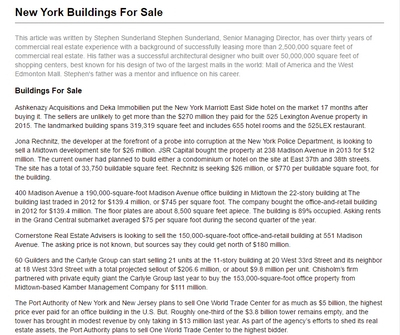 Sixth Avenue led the big-ticket office deals last year with eight leases that totaled 2.3 million square feet. 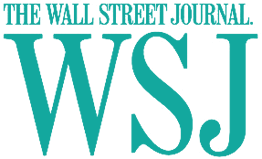 The largest new lease of the year in Manhattan was Major League Baseball’s 418,000-square-foot deal. Rents have been on the rise, especially on Fifth Avenue between 49th and 60th streets, where they jumped 50% in the past five years. The availability rate along Fifth Avenue, the most expensive stretch of retail real estate in the world, jumped to 15.9% in the fourth quarter of 2016, rising from 10.1% the previous year. In the third quarter, average asking rent swelled to $3,213 per square foot and then dropped at the end of the year to $2,985. 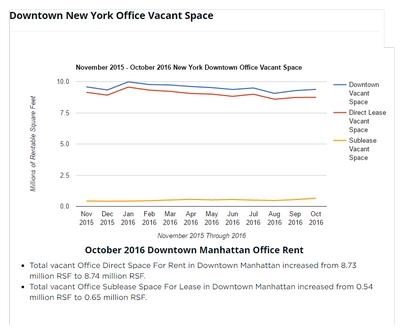 Vacancy rates on Fifth Avenue between 42nd and 49th streets reached a high of 31% last year. 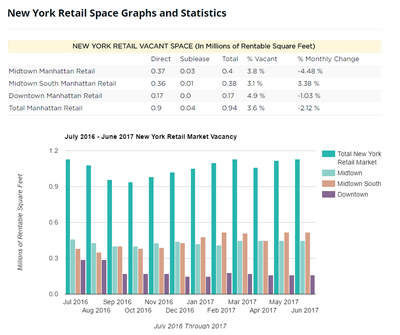 And 8 of the 11 Manhattan retail neighborhoods saw availability rates climb between 6% and 8.2%. 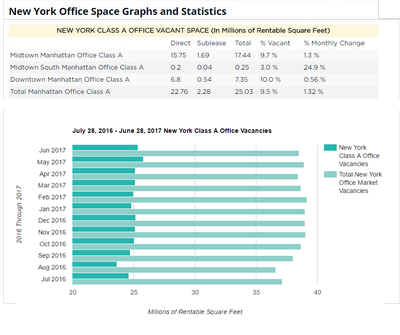 Facing rising retail vacancies, Manhattan landlords are offering perks like paying for renovations and moving expenses to attract tenants. Instead of slashing asking rents, landlords are finding other ways to sweeten retail deals.